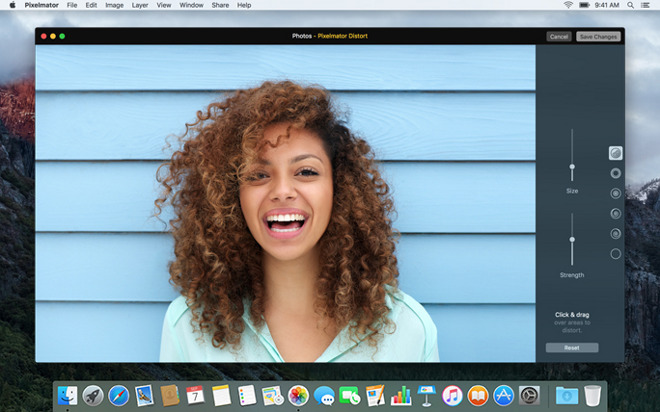 The extension gathers together a group of Distort tools, which can be applied to Photos images without having to load up Pixelmator. These include Warp, Bump, Pinch, and Twirl, which can all be undone if necessary using a Restore tool. The plugin is not only based on Metal, but coded in Apple's Swift 2 programming language, and supports Force Touch trackpads for controlling the strength of effects. Pixelmator itself has gained a smoother Force Touch implementation, and now uses Apple's San Francisco font for interface labels. The one major feature addition is support for El Capitan's Split View, which lets users run two apps side-by-side in fullscreen mode. 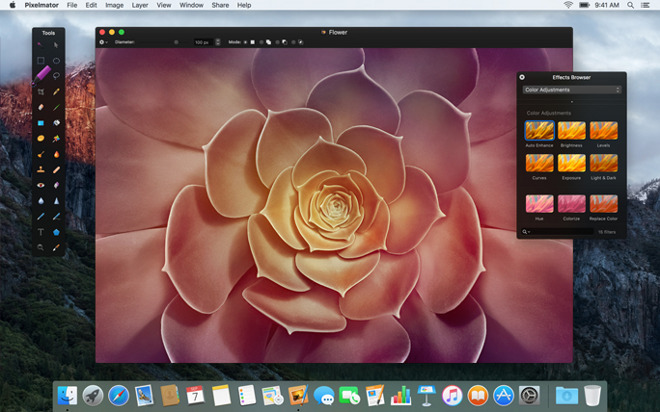 Pixelmator for Mac costs $30 at the Mac App Store, and requires OS X 10.9.5 or later.